The Iati comes close to reaching the holy grail of a comfortable performance level shoe. 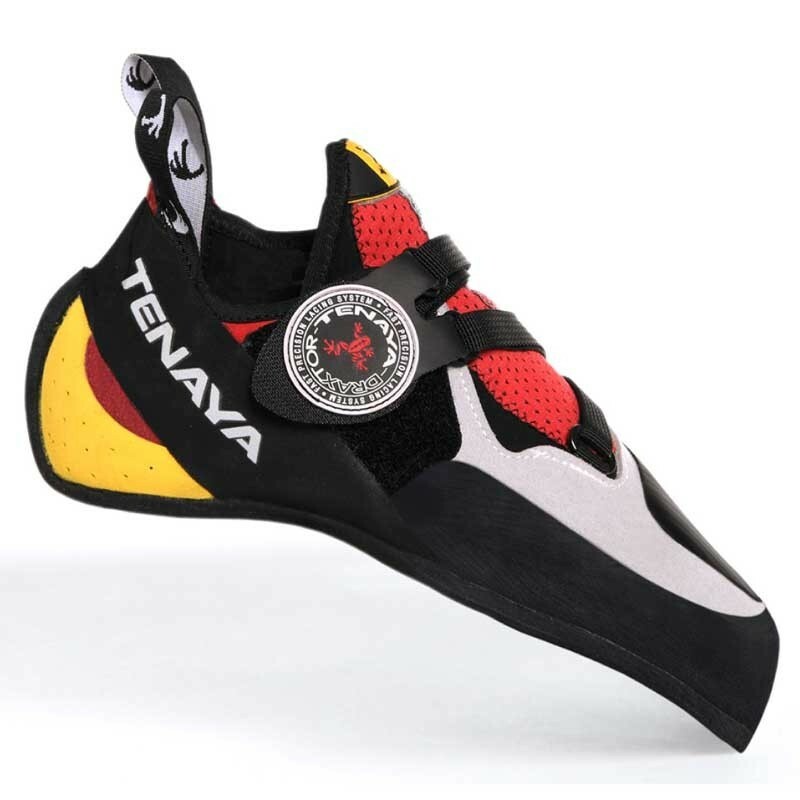 The last has a down camber in the mid-foot and the most down-turn in the toebox of any Tenaya rock climbing shoe. A combination of natural and synthetic leather and a cotton liner give a consistent fit and great breathability. Features like the Draxtor lacing system and RB RangeX technology create the responsiveness and versatility for which Tenaya is known.